One of our most regular customers wanted her daughter to have something extra special to carry down the aisle that she could keep to pass on to future generations. 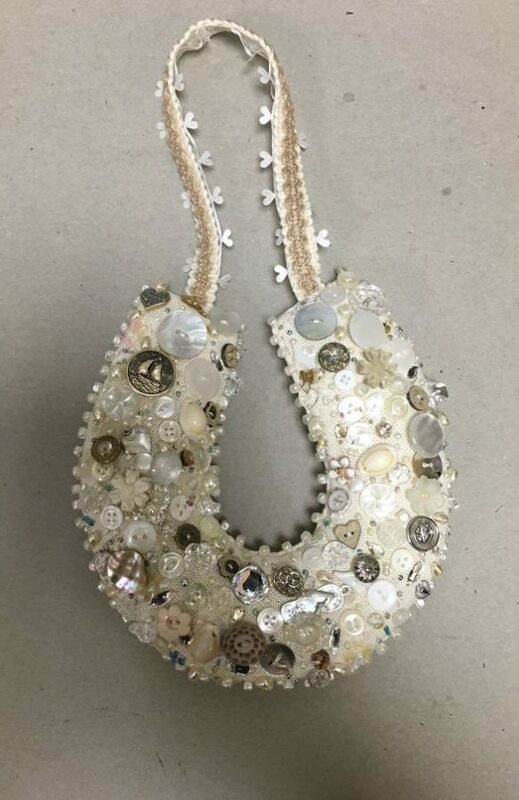 Using a variety of materials and embellishments from her own stash topped up with some extras from the Cone Exchange she created this beautiful horseshoe with her daughter’s name and the wedding date on the back. A truly beautiful and unique wedding gift.